India vs Australia 4th Test Sydney: A 'knowledgeable' crowd at SCG gave a standing ovation for Cheteshwar Pujar's monumental 193 came to an end. India vs Australia 4th Test Sydney: A ‘knowledgeable’ crowd at SCG gave a standing ovation for Cheteshwar Pujar’s monumental 193 came to an end. The gesture is bound to touch your heart and Pujara has got the respect he deserved after a marathon knock where nothing seemed to have unruffled the Indian No 3. Pujara’s 373-ball knock was brought to an end by Nathan Lyon who finally got his reward for showing patience. Pujara was caught and bowled by Lyon seven runs shy of getting to his fourth double hundred. 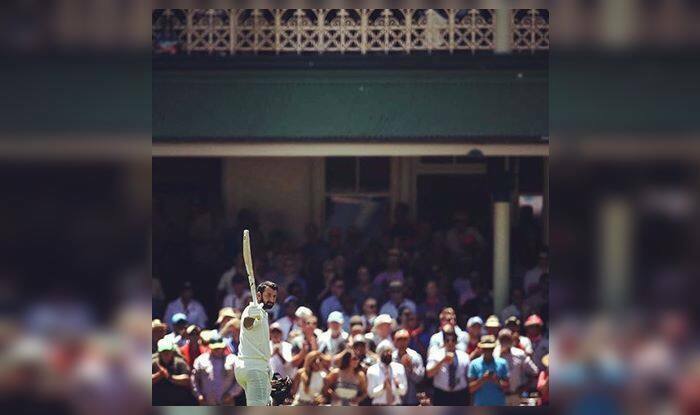 Be it the Australian crowd or India, all stood up in unison to applaud the knock is a testament to the fact that cricket eventually was the winner. The Saurashtrian became only the third India batsman to score 500+ runs in a Test series in Australia. He joined Virat Kohli and Rahul Dravid to this feat. Pujara also surpassed Rahul Dravid to face the most number of balls by an Indian batsman in a Test Series in Australia. Earlier, Rishabh Pant slammed his second Test century and became the only Indian and Asian wicketkeeper to do so in Australian soil as he brought it up in the fourth Test at Sydney Cricket Ground. Pant also surpassed MS Dhoni 148 against Pakistan in Faisalabad in 2006. India has declared at a mammoth 622/7.